With spring most definitely sprung and summer on the horizon tis the sea on here in France for Vide Greniers, what i hear you ask? 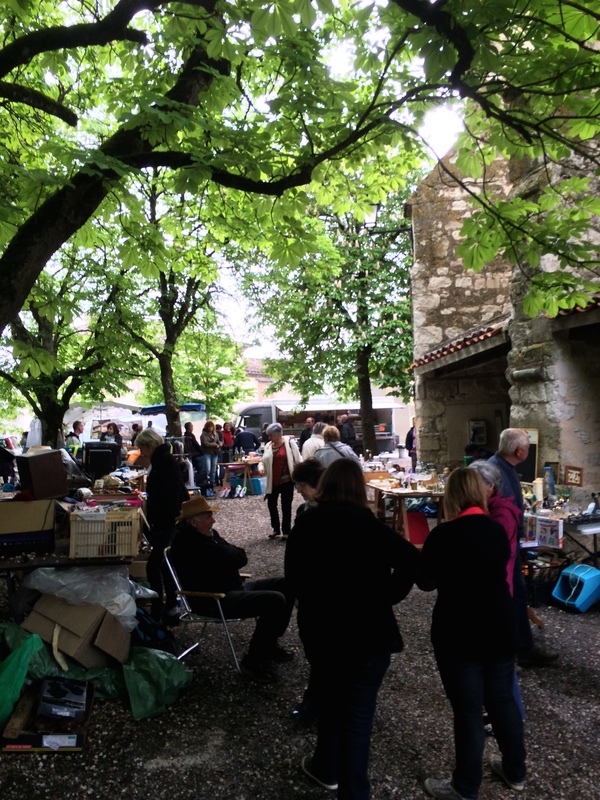 Well this roughly translates “Empty your attics” yes a sort of car boot sale as we would know it, but here in France they have many types some are just rummage sales, some can be plant sales and others all food based most are a complete mixture. 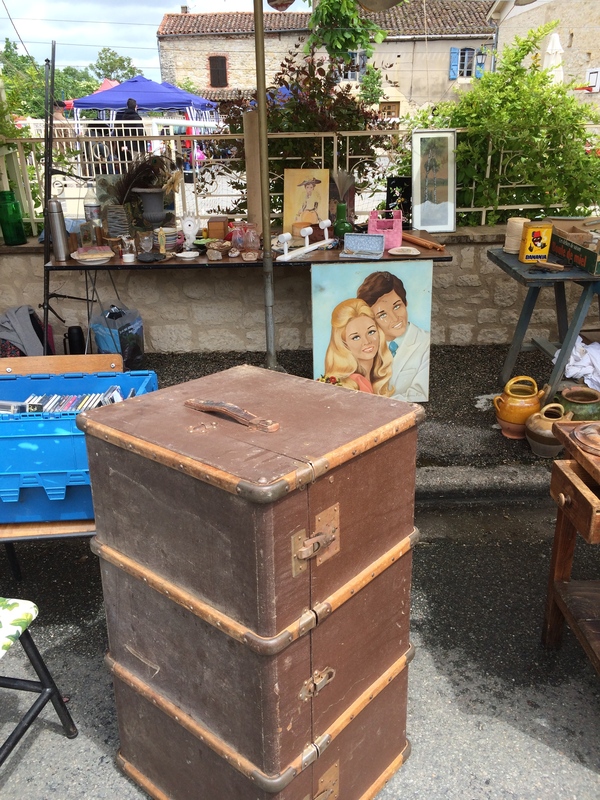 Today was our Vide Grenier and after a really lovely sunny day yesterday i awoke to drizzle and cold winds, so i presumed the worst and thought it would be a disaster, but i hadn’t counted on the French’s love of a Vide Grenier, come rain or shine they will come. Migs our friend popped bye on her way home from house sitting for a friend and texted to ask me to open the drive gates which i did brolly in hand only to be amazed that the edges of the road was jam-packed with parked cars, Migs rolled down her window and said that the village was packed with stalls and people. 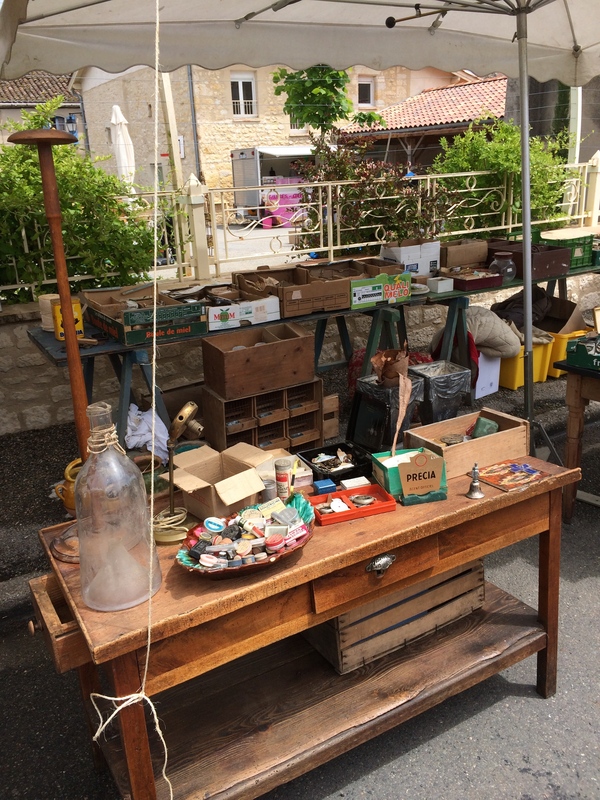 Our little village was a maze of stalls, big, small, some covered in tarpaulin’s others with patio parasols and some with plastic sheets strung up betweens trees, and a complete mix of plants, food, brica brac and junk…. 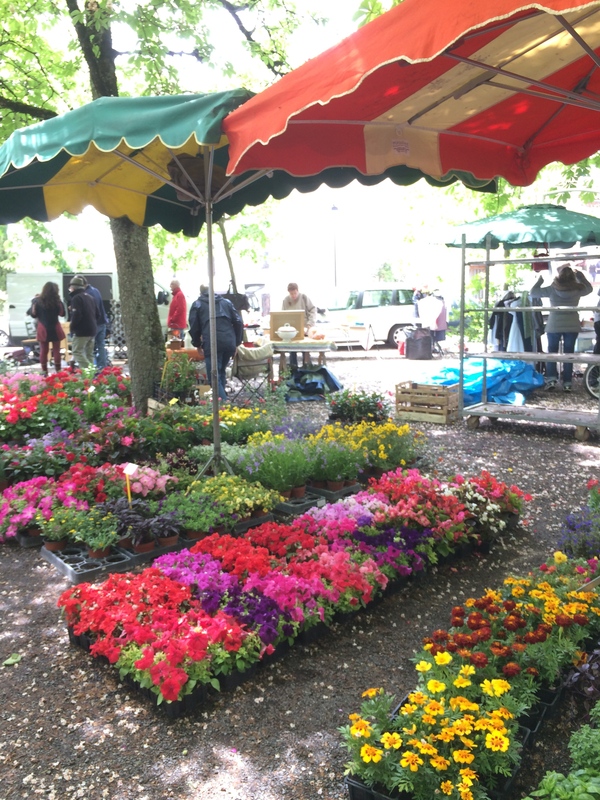 The weather brightened up as the day rolled bye and more and more people came and left with armfuls of goodies. And yes Migs and i purchased a few bits along the way too. I came home with just 20 cents left of my 20 euro pocket money but i had loads of plants a glass measuring jug in centilitres as all one are in litres oh yes and a fab huge zing jug which i have planted up with strawberries. 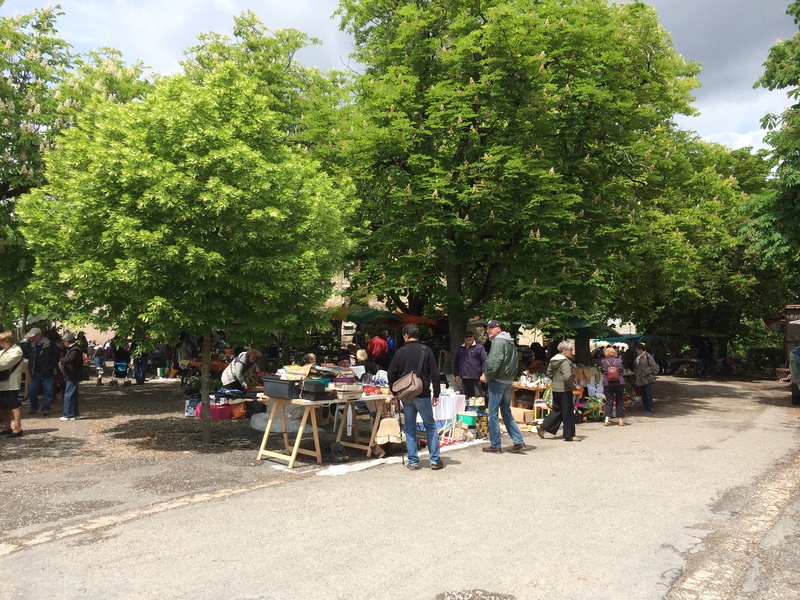 A fab day and a great success for our little village and next Sunday we roll on to Senouillac which is our neighbouring village and hopefully more bargains to be had. French life looks wonderfull Phil, good food,good wine, lovely people,beautifull landscape,what more in life could anyone want, BRAVO !!!!! I’m loving it Kath, how is Crete is it hot there?